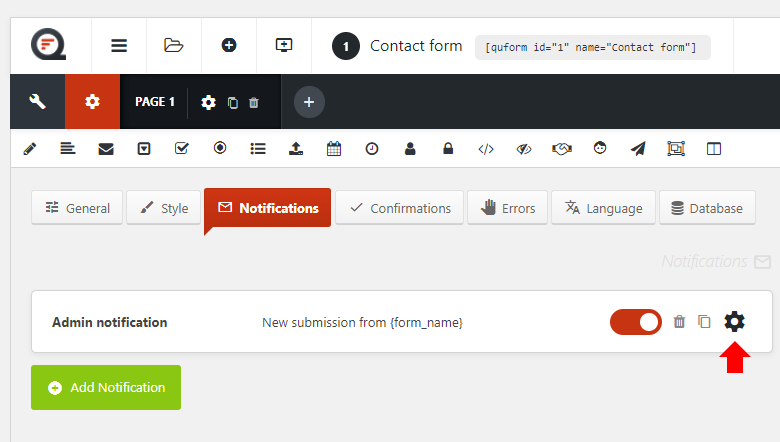 Quform WordPress v2 DocumentationFAQEmailHow do I add attachments to a notification email? While editing the form, go to Settings → Notifications then go to the settings for the notification that you want to add the attachment to. Go to the Attachments setting and click Add attachment. Click Browse to add a file attachment from the WordPress media library. In the attachment settings choose Source: Form element and select the File Upload element from which to add the attachment(s). That’s it! Save the notification and form, and the attachments will now be sent with the notification.